how to grow your revenues as soon as today! This report will open your eyes to the fastest way to increase your revenues through smart new client interviews. In fact, you'll probably think to yourself, "Why didn't I do this earlier?" It provides insight and direction to improve your conversions significantly. All you have to do is put the steps into practice. Learn the 7 critical steps to close more initial client meetings than ever before. Plus! There's a bonus chapter on "Follow-up Mistakes to Avoid." 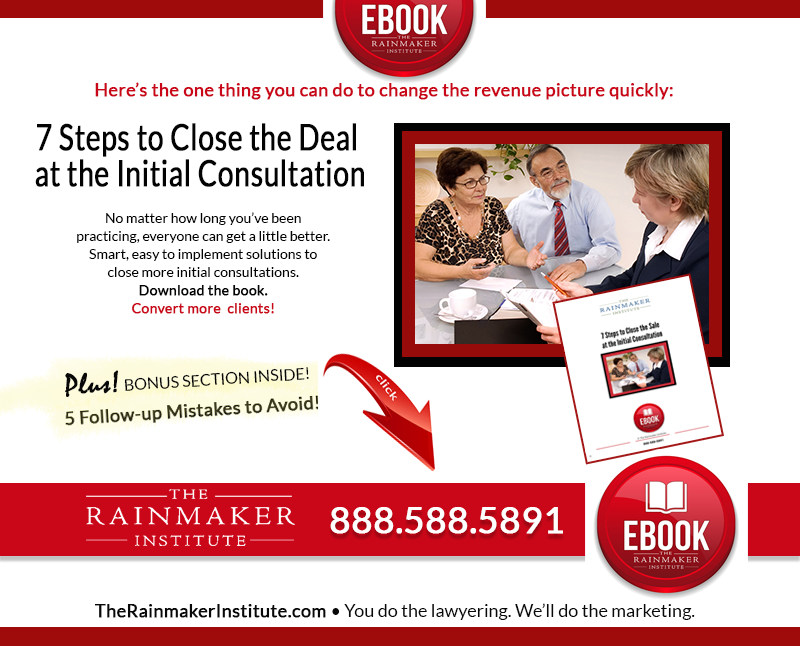 These nine pages are certain to improve your new client signings. YES! I want the e-book!